I am sharing a giveaway with my fantastic readers. For those who love to cook whether you’re marinating, barbecuing or you are in need of a sauce to dip your veggies in I’ve got something for you. Warning: I’ve been addicted to this sauce since the first time I tasted it at the BBQ launch party and it blew me away. You will be blown away so make sure people are around to catch you. 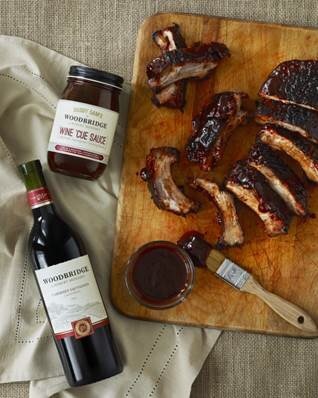 The perfect accompaniment to backyard BBQ’s and gatherings of family and friends, the Woodbridge Wine ‘Cue Sauce translates the dark fruit and caramelized flavors of the Woodbridge Cabernet Sauvignon into a sweet and tangy molasses-based sauce. The limited-edition recipe is ideal as a marinade, dipping sauce or topping for everyone’s favorite summer meats and vegetables, including ribs, grilled chicken, pulled pork, hamburgers, bratwurst and grilled vegetables. 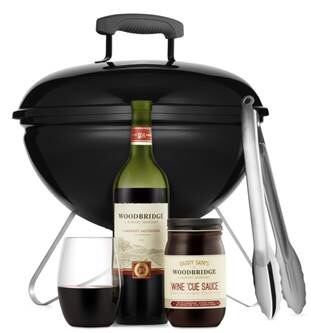 Its flavors are amplified further when paired with a glass of Woodbridge Cabernet Sauvignon ($6.99 per 750mL bottle / $10.99 per 1.5L bottle). The sauce is available through September 30, 2015 on Amazon.com. Who’s ready to win? 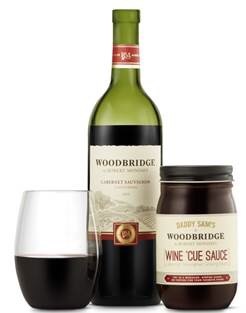 I’ve got 4 bottles of Woodbridge Wine Cue Sauce up for grabs. All you have to do is leave a comment telling me how you are going to use your sauce. Also, make sure you are following me on Twitter @nilimonicky and Instagram @nilimo and leave a comment that you did with both your handles for Twitter and Instgram. Contest ends August 6, 2015. Winner announced August 7, 2015. You have 24 hours to claim prize or new winner will be picked. Good luck!! I extended this giveaway. It will end August 27, 2015 and winners will be picked August 28, 2015. One winner already won so there are 3 bottles left. Disclosure: I was not compensated for this post. 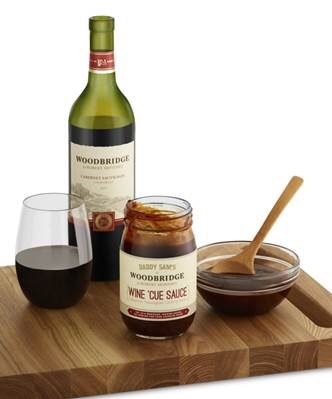 I was given jars of sauce to review and a bottle of Cabernet Sauvignon. Opinions are mine as always 100%. Categories Cooking, Family, Food, Free, Home, What's Going On? I think that it would be amazing on grilled pork! Following on twitter (@JenHaydenMSW) and instagram (@jenannhayden). Thanks! Sounds good. Good luck and thanks for entering Jennifer.